Founded in 1951, the Joint Commission accredits and certifies more than 21,000 healthcare organizations and programs in the United States. An independent, nonprofit organization, it is the nation’s oldest and largest standards-setting and accrediting body in healthcare. 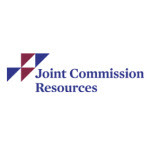 Established in 1986, Joint Commission Resources (JCR) is the official educator and publisher of Joint Commission standards, providing innovative solutions designed to help healthcare organizations improve patient safety and quality. Among other services and products, JCR publishes accreditation manuals, books/ebooks, and periodicals to support practical learning and standards compliance. JCR has been a participating publisher since 1995, sending us 236 of their titles for inclusion in Doody’s Review Service, and we have published reviews of 81 of them. Doody’s Core Titles 2018 features three JCR titles, including The APIC/JCR Infection Prevention and Control Workbook, which has been a perennial selection since its first edition.